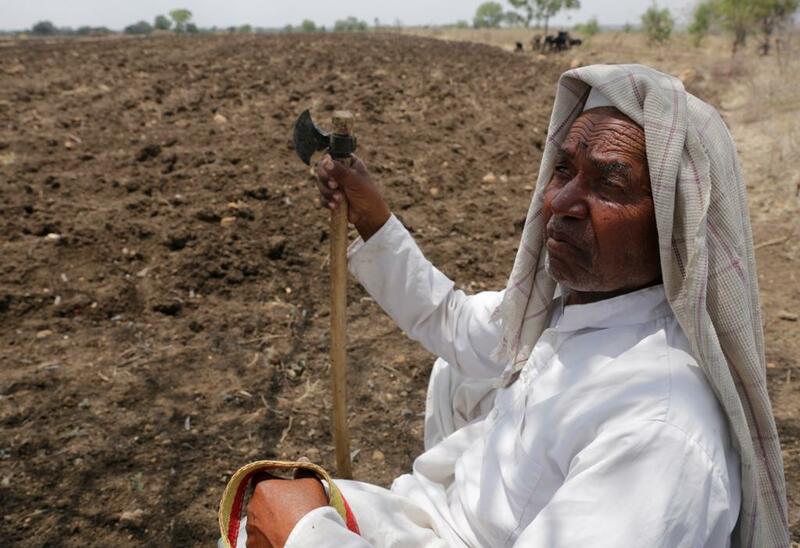 The weather department on Tuesday issued a "go slow" advisory to farmers regarding sowing activity in interior Maharashtra, including the parched Marathwada region. The advisory comes as the drought-hit state is yet to be covered by monsoon clouds. If the India Meteorological Department’s (IMD) advisory is anything to by, the wait is set to continue for at least a few days. Asking farmers in the state to proceed with tilling operations, the advisory has said that sowing should be put off until the onset of monsoon to ensure better productivity and avoid wastage of seeds. “We have issued the advisory since it is always better for the crop if there are a few days of consistent rainfall before sowing. Currently, the soil is too dry and seeds are at the risk of being washed away and wasted if sowing is undertaken before monsoon hits,” says N Chattopadhyay, deputy director general of Agrimet, IMD. The IMD, in April, had forecast above normal rains during this year’s monsoon season at 106 (+/- 5) per cent of the long term average. But the southwest monsoon arrived late and its progress has been slow over mainland India. As of today, there is a rainfall deficit of 22 per cent compared to the average. The deficit is already being linked to rising food prices and inflation. “Initially, rains got delayed due to the cyclonic activity last month in the south and east coast of India. So onset over Kerala was delayed by about a week. Monsoon has reached parts of north interior Karnataka and the Konkan coast, but the progress of the clouds has stalled for the moment. There are positive signs, however, that in the next 3-4 days, monsoon rains will penetrate interior Maharashtra after which sowing would be beneficial,” says Chattopadhyay. Both experts remain confident that the sluggish start of the monsoon shall have no impact on this year's expected crop yield. “Sowing is not done on exact days but rather in a sowing window. The sowing window in interior Maharashtra extends up to the end of June for sowing of normal crops so we do not expect any significant impact. In fact, if the rains in July are strong as expected, crops such as rice are likely to see good performance,” adds Chattopadhyay. While there is no reason to worry yet, there is reason to be wary of a longer wait, says V M Bhale, dean of the Agriculture Department at the Dr Panjabrao Deshmukh Krishi Vidyapeeth in Akola, Maharashtra. “There are predictions that rains will arrive within the next 4-5 days which will be a good time for sowing but it needs to be remembered that if the onset is beyond June 25, crop yield is likely to be hit,” he says. A serious concern, though, is the effect of temporal distribution on crops. Observations over the past century have revealed an increase in the number and frequency of extreme rain events over the mainland. But these events are not reflected in long-range forecasts and are indicated only in short-range and extended-range forecasts. With a sluggish monsoon so far, and very high rainfall predictions for the month of July and August, experts believe that uneven distribution of rain with many extreme rainfall events are likely over the next two months. “Heavy rainfall in July, during the weeks after sowing, would actually be beneficial for crop yield and quality this year but if the heavy rains persist in August, it will bring significant damage to the crops," says Bhale. "Extreme rain events are also a problem since standing water, although beneficial for rice, is not good for all crops. Farmers will have to prepare a good system of drainage through which water is not allowed to accumulate and stand beyond a day.” Apart from rice, sorghum, soyabean, cotton and pulses such as moong are commonly grown in Marathwada.